Developed from natural elements among technological active ingredients, Professional Trivitt provide advanced hair hydration, cauterization, damage repair and highlights natural shine of the hair. 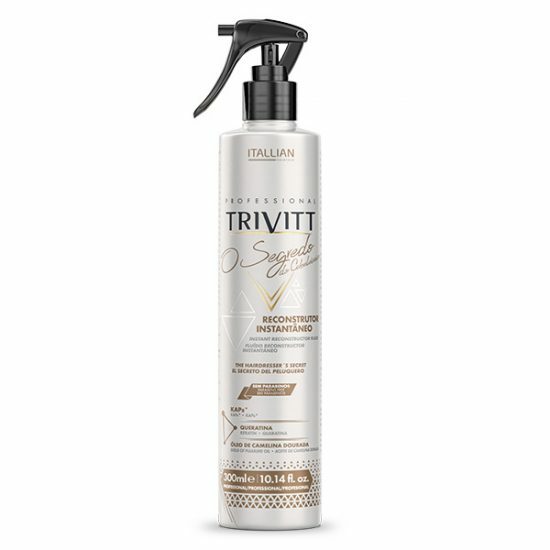 Formulated from natural actives, The Hairdresser’s Secret instantly rebuilds the structure of the fragile and damaged hair. Its rich formula in KAPs (Keratin Associated Proteins)* returns to the hair bulkiness, resistance and alignment. It repairs hair damage, replenishes moisturizing and provides shine and smoothness to hair. 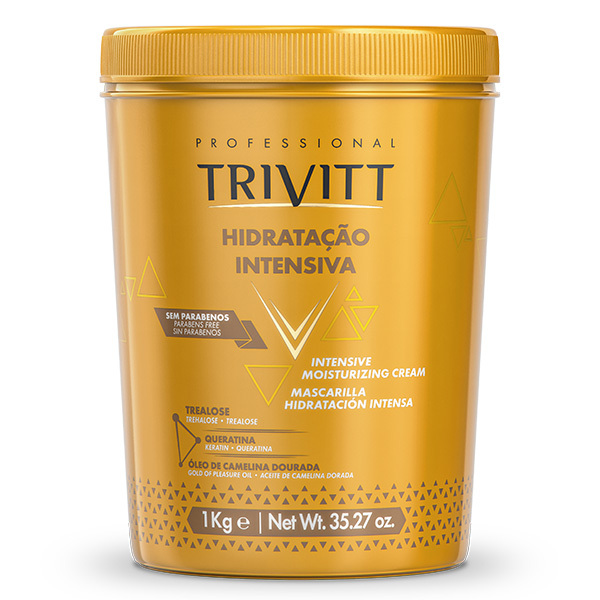 It rinses gentle and makes detangling easier to comb after Brazilian blowdry, straightening and relaxing services, coloring and bleaching, by recovering hair fibre from chemical services with moisturizing and emollience. As final result, soft and shiny hair. Delivers soft hair and conditioning with moisturizing. Its composition repairs damaged parts of hair while it brings back moisturizing and elasticity. Forms a film that controls frizz, reduces volume and protects from dryness. For all hair types. It repairs damage and gives shine, moisturizing and softness to hair. It goes deep into the hair fiber and makes it stronger against breakage. Highly moisturizing actives act on the cuticle, sealing them and replenish moisturizing, with long lasting effect. As final result, shiny, strong and moisturized hair. 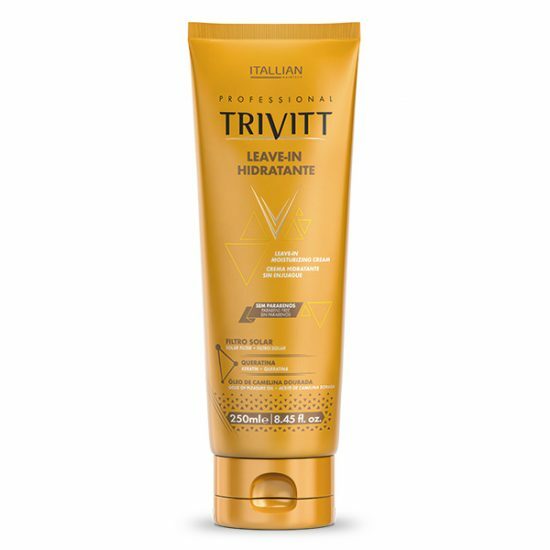 Reduces volume with moisturizing and conditioning with no build up effect. 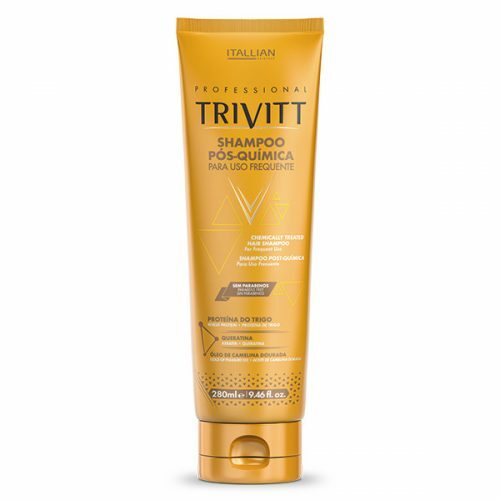 Protects against frizz along the day and locks moisture into the hair fiber for longer so that hair be soft, untangled and shiny. 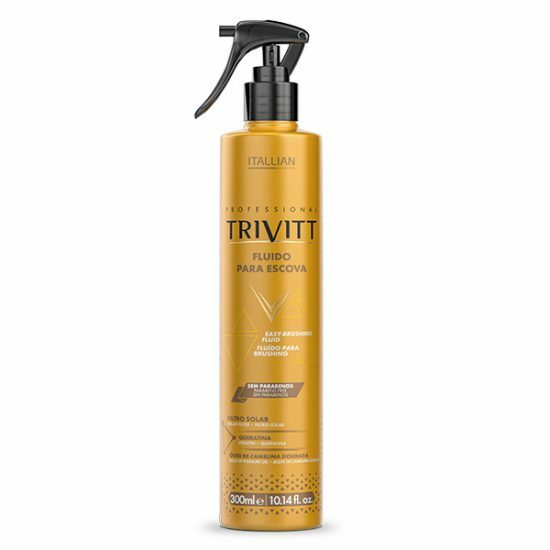 Thermal protection, it eases blowdry and prevents split ends. Sealing hair fiber, brings intense shine and softness, besides speeds up hair drying. 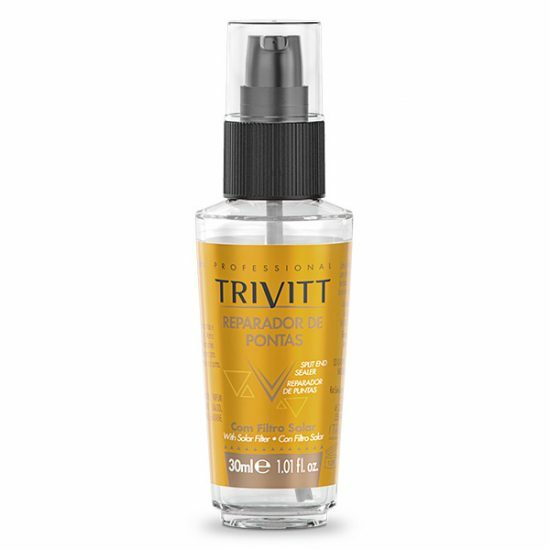 Its formula restores damaged parts of hair by sealing cuticles and delivering long lasting moisturizing. For all hair types. It recovers shine, repairs split ends and moisturizes hair. Technology based on silicone forms a protection film and leaves hair soft, with luminous shine with dry touch and no build up effect. Finishing oil for dry and damaged hair. 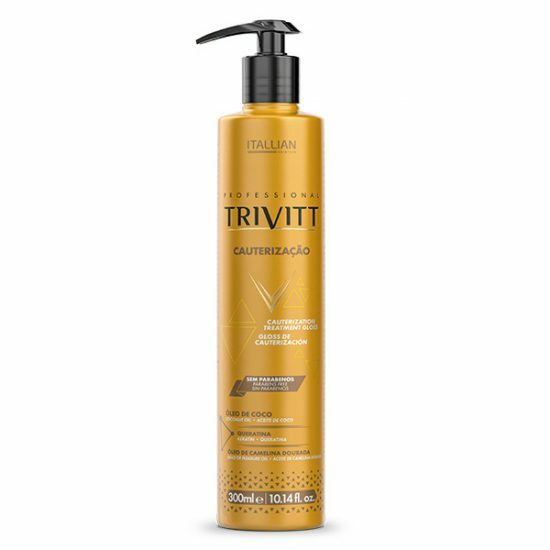 Eliminates dryness and roughness with intense nourishment, discipline and frizz control. 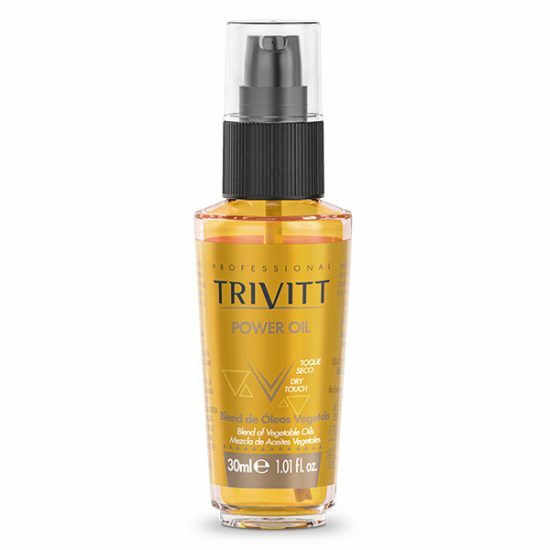 It acts on all layers of the hair fiber with the nourishment from noble vegetable oils, which leave hair softer and silky, as well as giving back the elasticity needed against breakage and providing radiant shine with dry touch. It is a hair sunscreen. 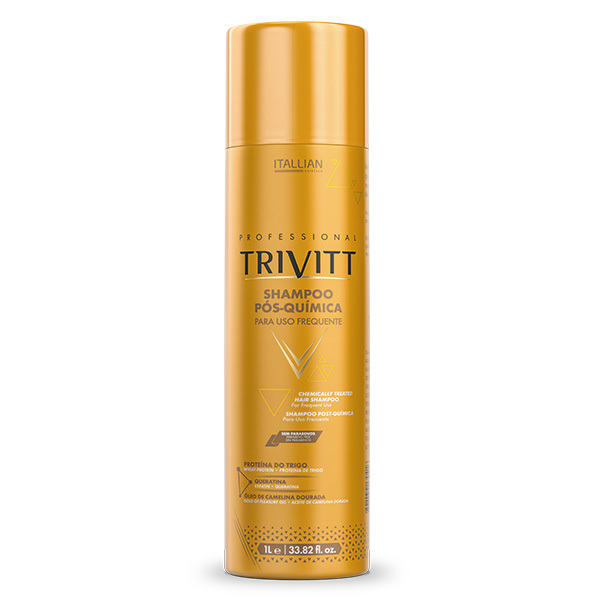 Provides extreme effectiveness protecting hair coloring and highlights during sun exposure. 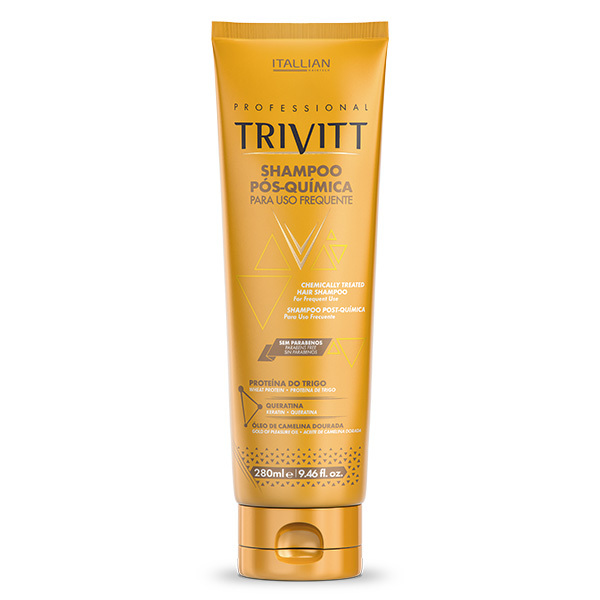 Formulated with Keratin, Wheat Protein and Vegetable Extracts, keeps hair soft, giving shine and restoring hair. Indispensable for use in beach and pool. 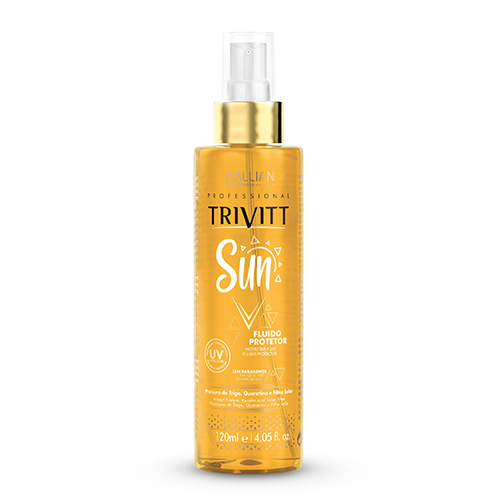 Thermal protection, prevents frizz and gives intense brightness and soft touch to hair. Multibenefits with ingredients that moisturize and strengthen hair fiber. Repair damages while creating a protective film on the hair fibre, which leaves it more full bodied, soft touch and intense shine.